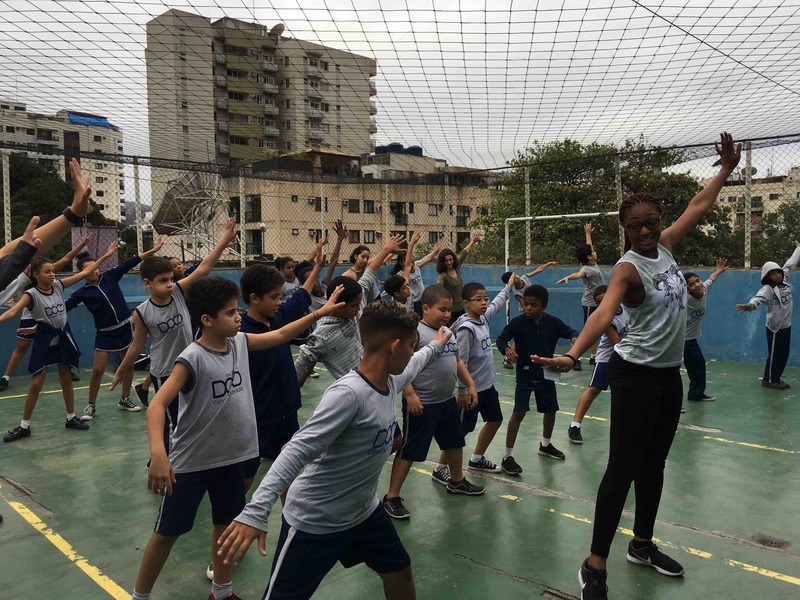 Dance in Brazil this August 2019 with Movement Exchange. 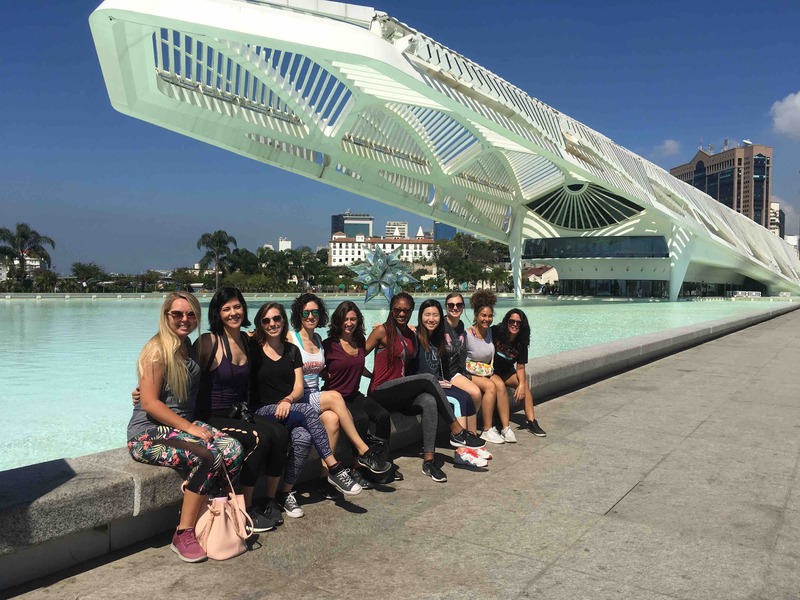 Take classes in traditional Brazilian dance forms, visit Rio de Janeiro’s iconic sites, and immerse yourself in one of the world’s art meccas. During this exchange, you’ll discover what it means to move to change. In Brazil, your days and nights will be overflowing with dance. 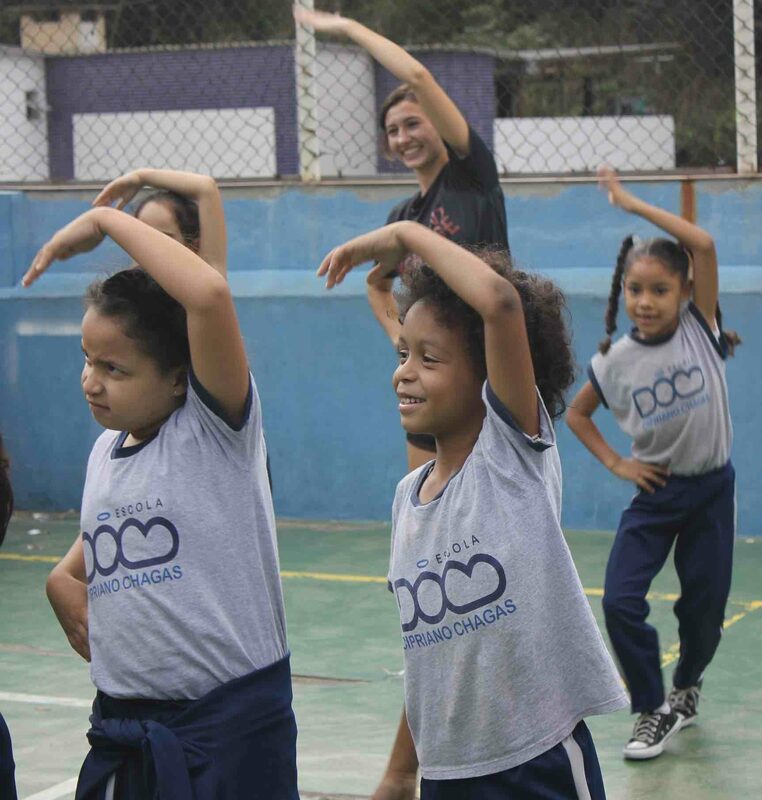 The days will be spent teaching at local youth foundations and taking class in a variety of Brazilian dance forms. At night we will visit festivals, markets, and outdoor music venues where the dance community comes to life. Get ready to samba in Rio de Janeiro. 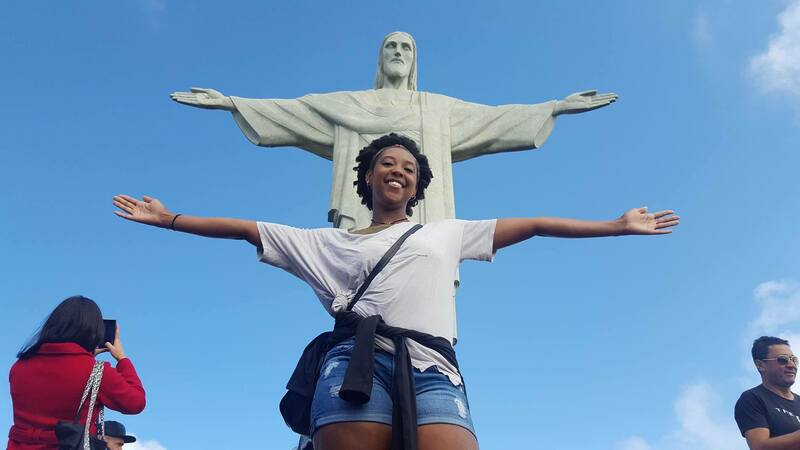 To join us August 3-12, 2019 in Rio de Janeiro, Brazil, you need to apply. After we receive your application, you’ll receive an email with a registration form and more information about your deposit, flights, and travel information. For more information on Brazil and how to prepare for your exchange, view the following resources. A $700 non-refundable and non-transferrable deposit is due March 15th. The remainder of your program donation is due by June 1st. Morning: Bem-vindo ao Brasil! Welcome to Brazil! After your long flights, we will get settled into our apartment in Copacabana before strolling to the local fruit juice stand for your first taste of tropical goodness. Afternoon: Lunch will be out near the fort of Copacabana overlooking the Atlantic Ocean. 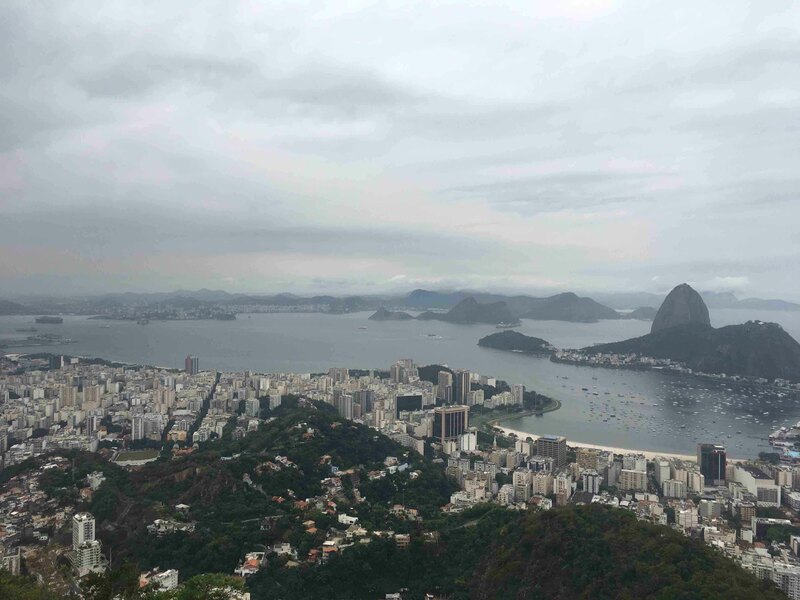 Our first afternoon will consist of a walking tour of parts of Zona Sul and exploring the beaches of Copacabana, Ipanema, Leblon and, of course, the Rodrigo Freitas Lagoon right in the middle of the city. Evening: A group dinner of traditional Brazilian food ends our first day. Lots of activities are to come so rest up! Boa noite! Morning: Are you ready for our first day of dance in Brazil? We start off the day with a samba class from a local dance professor. 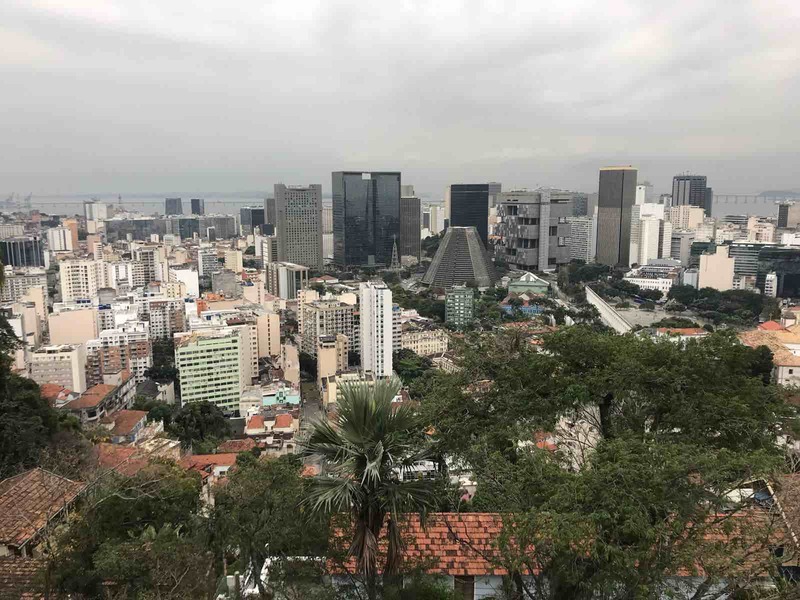 We will then visit the non-profit, “Attitude Social,” in the community of Santa Marta with a view overlooking the city of Rio de Janeiro. We will meet the founder and get to hear a bit about the daily life of residents in the favelas of Rio de Janeiro. Santa Marta is also home to the famous Michael Jackson statue, as one of his music videos was filmed there. Afternoon: Lunch will take place on the mountain top before our first day of teaching dance at the Dom Cipriano School. 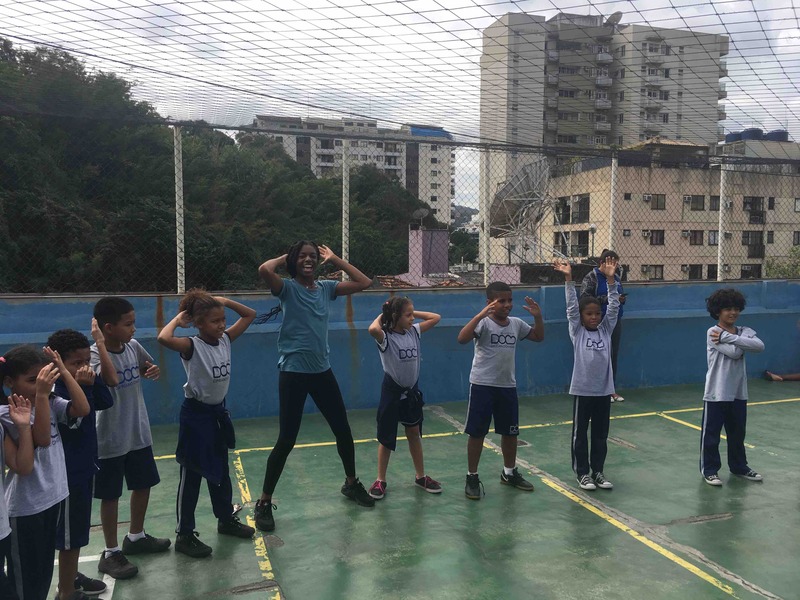 Dom Cipriano provides high-quality education for youth living in favelas throughout Rio de Janeiro. Throughout the week, we’ll be working with youth ages 6-11. We’ll be doing a final performance at the end of the week sobe sure to have some choreography prepared. Evening: Take this evening to get acquainted with your new neighborhood! There are many restaurants and bars nearby so feel free to explore! Morning: This morning we’ll head to the University of Angel Vianna to take class with the university students. We’ll have some time to hear more about the dance department and share our thoughts on how dance can be used for community development and cross-cultural understanding. Afternoon: After a quick lunch at the university, we’ll be back at the Dom Cipriano School for our second day of teaching. The kids will be so excited to see your familiar faces! Morning: Where do Cariocas (the natives of Rio) go on a Saturday? To the beach! We will follow suit and spend the day at the beach. Each different section of the beach is divided up based on “tribes”. You will soon see that the “hippies” are at this part of the beach, the “families” are here, and the “fitness buffs” are over there. Your inner anthropologist will be amazed. Brazilians take their beach culture very seriously. Afternoon: Get ready for a workshop at a cultural center in community nearby the beautiful landscape outside of Rio de Janeiro proper. We’ll learn a variety of dance forms including Capoeira, Jongo, Samba de Coco, and Samba de Roda. Evening: Tonight we’ll head back to the city center. Rest up! We still have lots of dancing to do! Morning: A visit to the Catete Palace starts off our day. This beautiful, urban mansion was once Brazil’s presidential palace. The neocolonial architecture and surrounding gardens are a must see. Afternoon: We will spend the rest of the afternoon at the Center of Northeast Traditions. 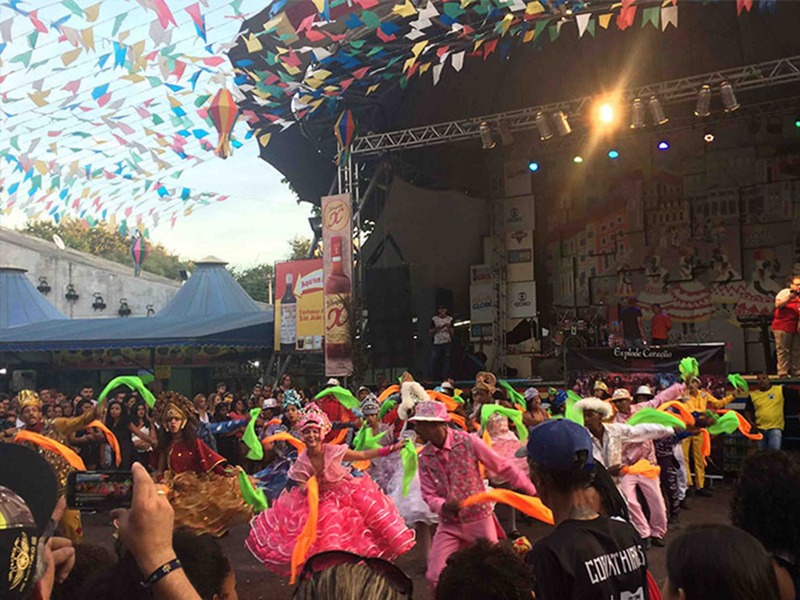 This lively complex is centered around Northeast Brazilian cultural traditions (much of Brazil’s famous dance and musical genres originated in the Northeast) and has live bands, food stands, karaoke, games and so much dancing! We will eat some of the famous tapioca delicacies and try out our Forro skills! Evening: Dinner will be on your own tonight, giving you time to hunt down your favorite dishes so far! Morning: Take this morning as well-deserved free time to explore, take a nap, or journal. Before lunch, you’ll have a bit of time to enjoy the fresh fruit juices and do some souvenir shopping. Afternoon: After lunch we will revisit our beloved students at the Dom Cipriano School to refine some of the steps we’ve been working on. 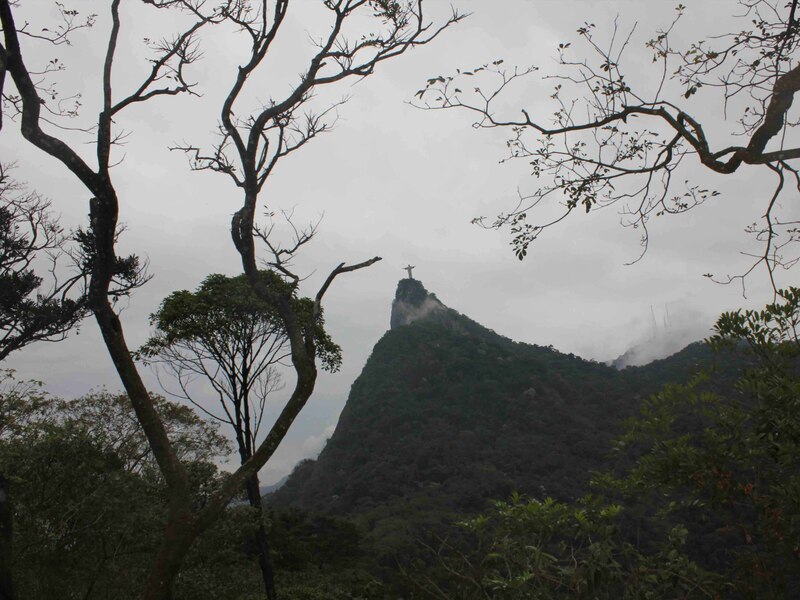 Evening: Tonight you’ll have the option of seeing a live samba show at the famous outdoor gathering called Pedra do Sal. Morning: A morning visit to one of Rio’s newest museums called the Museum of Tomorrow starts our day off. The museum was designed by the neofuturistic architect Santiago Calatrava and is quite the sight to see. 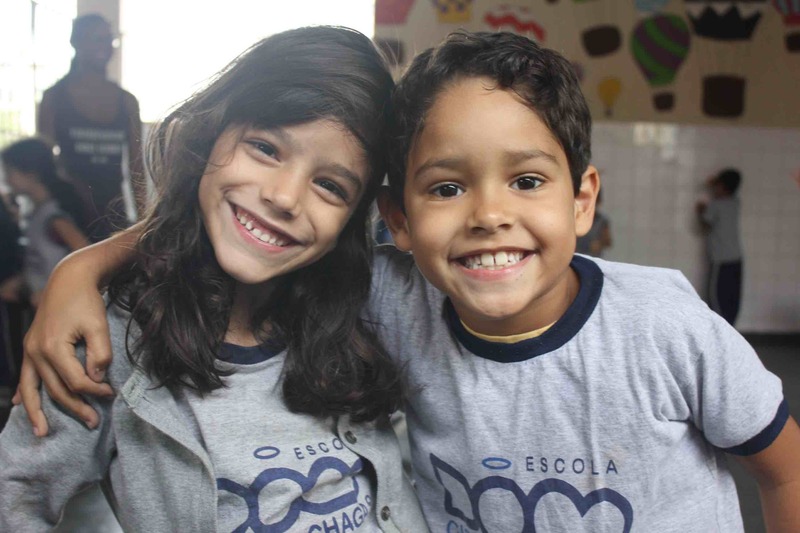 Afternoon: Our afternoon is spent with our young students at the Dom Cipriano school in the neighborhood of Botafogo. Evening: Teaching warms us up to take a Maracatu class. Maracatu is a typical dance originating from the state of Pernambuco and is always accompanied by live drumming! Morning: A morning tour of the Lage Park with trails throughout the subtropical forest in the Botanical Garden neighborhood is the most glorious way to wake up. Afternoon: After lunch we will teach our very last class at the Dom Cipriano School and say goodbye to our students. A little show will be performed to showcase some of the choreography the students learned over the week. Evening: We will head back to Copacabana for an Afro-Brazilian dance class. 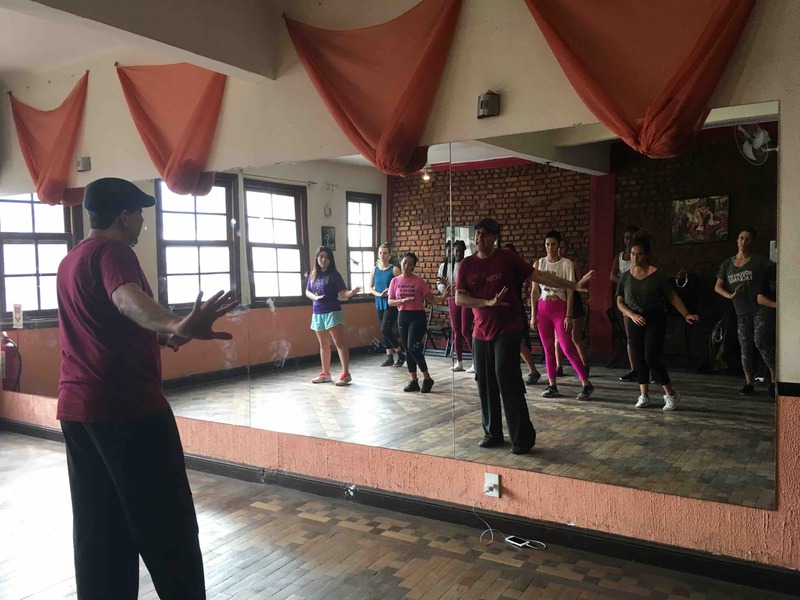 If you have enough energy, you’ll have the option of visiting an old school dancehall to practice your new Forro skills! Morning: A visit to Rio wouldn’t be complete without traveling to the Christ statue to get a view of the entirety of Rio. It’s breathtaking, without a doubt. Afternoon: After picture taking at the statue, we will head back down the hill and visit the neighborhood of Santa Teresa known for its artist studios, small streets, and cable cars. We will eat lunch on this hill community. Evening: This is a night of lasts! After our last group dinner, we’ll spend our night dancing our last bits of samba! Morning/Afternoon: Obrigado and ate logo! Be sure to take your last sips of Brazilian juices and bites of pao de queijo, for it’s off to your next adventure you’ll go. Thank you for your compassion, talent, and love. You’ve made a positive impact on all the communities you’ve touched with your dance and spirit this week. Keep the movement going! A portion of your program donation supports year-round, locally staffed dance education for hundreds of youth at Movement Exchange’s partner locations. We usually host between 7-10 dancers on each international dance exchange to Brazil. Do I have to speak Portuguese to attend the international dance exchange? The only requirement for attending an international dance exchange is a passion for dance and a desire to spread the joy of movement. Volunteers of all dance backgrounds are welcome to participate in an international dance exchange and are invited to teach their speciality. 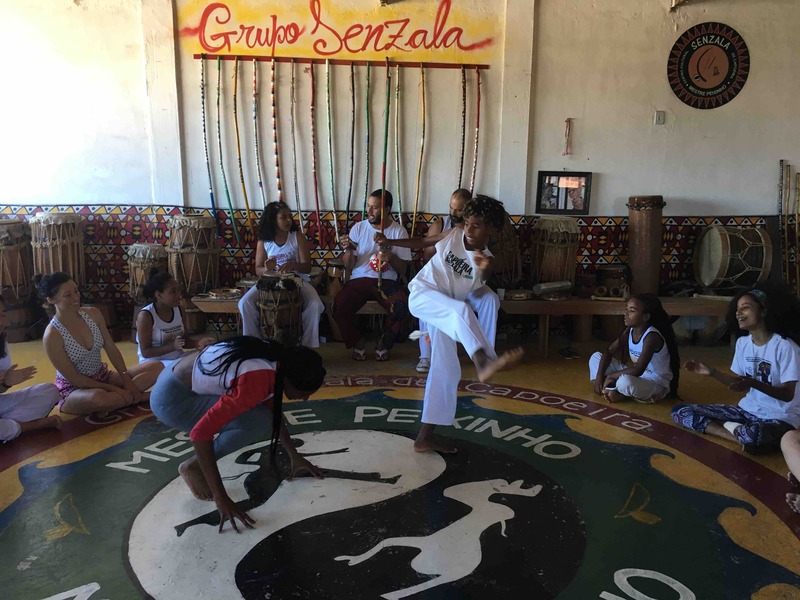 In addition to teaching, volunteers will be exposed to various styles including samba, maracatu, forro, and more. 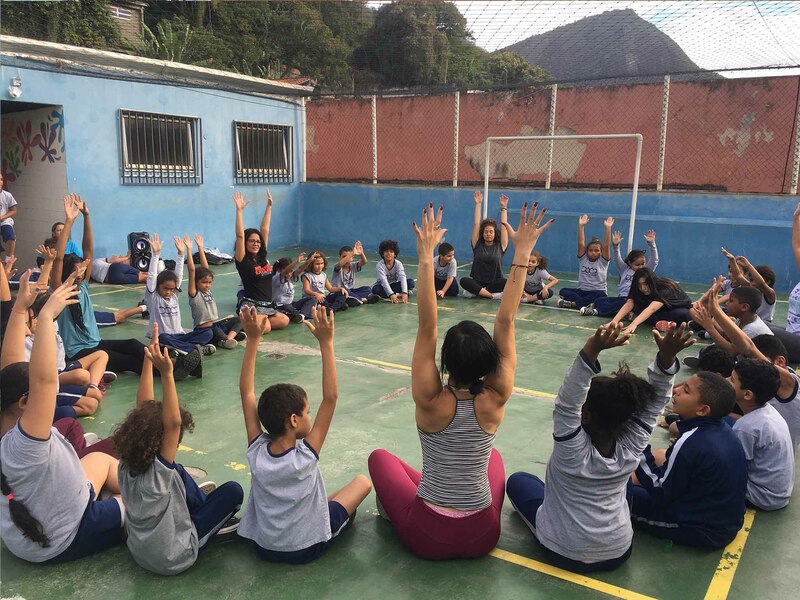 You will be teaching youth ages 4 to 18 years old in underserved communities of Rio de Janeiro as well as Brazilian university students (when our itinerary includes a day at the Federal University of Rio de Janeiro). Absolutely! You’ll need a group of at least 10 people and you can pick any week throughout the year. Email us at info@movementexchanges.org and we would be happy to tell you more about this process. ”This trip has given me a greater sense of purpose to use dance as a tool to bring together a community. 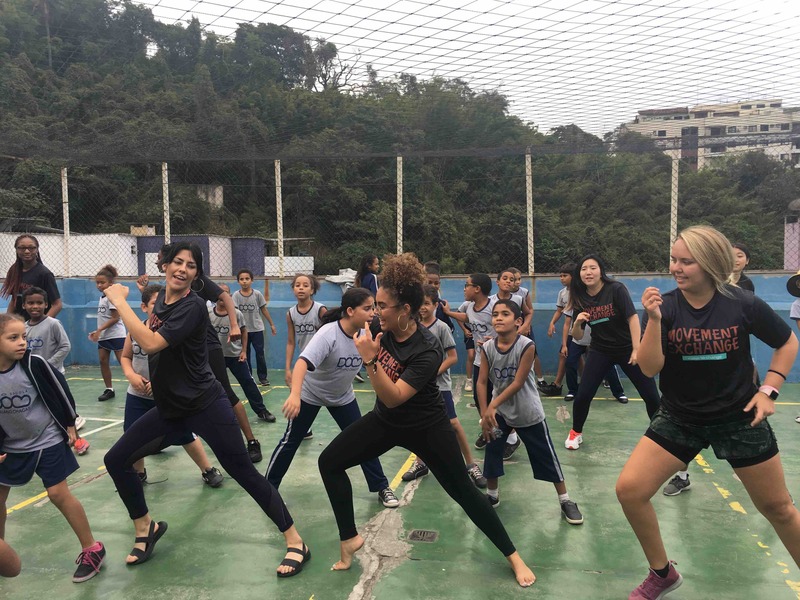 Seeing how dance was such a staple in the Brazilian culture made me want to re-evaluate my passion for dance and figure out ways to sustain it. It has given me a sense of empowerment that I can do what I have always dreamed of doing which is to travel and work in dance.